The plan was for Doc Gumshoe to fix his gaze on the hype around Delta 8 as the ultimate banned cancer cure, which he will definitely get around to. But the volume of comments and queries that “Cancer: The Lay of the Land in 2018” was such that I have little choice but to attempt to answer them to the best of my ability. As of last count, there were eighteen distinct requests for further sleuthing, most of them suggestive and interesting, which tells me that the denizens of Planet Gumshoe are keenly interested in what’s going on in that particular area of medicine – not only how it affects their health, but their wealth and happiness. The lead-off question here is how was the prostate cancer initially diagnosed and treated. An exceedingly disquieting trend in the past few years is that fewer men are being diagnosed with prostate cancer, but that there is a considerable increase in the incidence of metastatic prostate cancer. This emphatically does not mean that the disease is getting more severe. It means that, largely because of the recommendation of the U. S. Preventive Services Task Force, fewer men are opting for the prostate-specific antigen test as part of their annual health check-up, therefore fewer cases of cancer are being identified and diagnosed – not that the incidence of prostate cancer is diminishing, only that its diagnosis is diminishing. And that means that more cases of prostate cancer are being diagnosed at a later and more dangerous phase. That could lead to metastasis of the cancer to a distant site or to local recurrence. Recurrence of prostate cancer can occur even if the prostate gland itself is removed surgically. This can happen if cancerous cells have escaped from the capsule and invaded the surrounding tissue, in which case a local recurrence of the cancer might emerge even if the gland is gone. When the prostate gland is excised by open surgery, the surgeon is scrupulously careful to make sure that the margins – the tissue around the prostate – are clean. This is less possible when the treatment is radioactive seed implantation. The most likely destination for cancer cells that have survived the initial treatment is the lymph nodes in the surrounding area, and the next most likely location is the bones. A treatment option that is frequently employed in the event of recurrence is androgen deprivation therapy, since the growth of prostate cancer cells is stimulated by testosterone. To this end, patients are given treatment that aims to block the effects of androgen, such as a luteinizing hormone-release hormone antagonist (LHRH) – for example, Pfizer’s Xtandi (enzalutamide) – an androgen antagonist. Another drug in this class is Johnson & Johnson’s Zytiga (abiraterone). Hormone therapy may be combined with some form of chemotherapy, such as drugs that inhibit the growth of blood vessels to the cancer cells (angiogenesis), those that inhibit cancer cell replication, or checkpoint inhibitors. And in some cases, surgical castration has been employed. Recently, drugs in a class termed PARP inhibitors have been successfully used to treat recurrent prostate cancer. These are inhibitors of the enzyme poly ADP ribose polymerase (PARP), which cancer cells rely on for growth and replication. For example, just a few days ago the FDA granted a PARP inhibitor, rucaparib (Rubraca, from Clovis Oncology), breakthrough therapy designation for single-agent use in adult patients with metastatic prostate cancer following at least one androgen receptor-directed therapy and chemotherapy to prevent cancer cell replication. That language makes it sound like a highly limited indication, but in reality it would describe almost all patients with prostate cancer that had escaped the prostate gland itself and lodged elsewhere in the body. Another agent in that class is AstraZeneca’s Lynparza (olaparib), which, when given in combination with J & J’s Zytiga, extended survival in patients with recurrent prostate cancer significantly longer than Zytiga given as monotherapy. The objective of prostate cancer treatment should obviously be to catch it early and kill it quickly, so that the treatment of recurrent or metastatic prostate cancers is infrequent. A treatment mode that appears to accomplish this effectively is termed “active surveillance.” This practice differs from “watchful waiting,” in that it entails further regular PSA testing and repeat biopsies. That strategy has recently been confirmed by a report at a recent AUA meeting which was based on a retrospective review of about 2,200 patients who had entered active surveillance between 1995 and 2016 at Mass General Hospital and the Sunnybrook Health Sciences Center in Toronto. Of those patients, 432 were under age 60 at the start of active surveillance. Their median PSA level was 4.6 ng/dL, which is at the low end of the range indicating the likely presence of a cancerous tumor in the prostate gland. Almost all the men – nearly 98% – had a Gleason score of less than 6, pointing to a fairly early stage cancer. The big news is that after follow-up – which in some cases went on as long as 22 years – not one single man in that group died of prostate cancer. After five years of follow-up, 131 of those 432 men opted for some form of definitive treatment. The most common reason was evidence of pathologic progression based on repeat biopsies, which led to definitive treatment in 88 men. An additional 24 men decided to have definitive treatment based on rising PSA levels, and 15 men made that decision for other reasons. The most frequent form of definitive treatment was radical prostatectomy, chosen by 82 men in this cohort. But, to repeat the main take-away, in that group of 432 men who had gotten a diagnosis of prostate cancer, not one died of the disease, which had in those individuals been identified and treated in time. I’ll confess that this outfit had never emitted so much as a blip on my radar screen. Qbiotics appears to be primarily focused on animal health, but they are making a transition to human health product, where obviously greater financial rewards are to be found. In the cancer area, their principal product is tigilanol tiglate, EBC-46, which is an entirely natural product, derived from the Australian blushwood tree. It is injected directly into those solid tumors that are found in the skin or just beneath the skin (such as melanomas and some carcinomas) and it has been reported to cause hemorrhagic necrosis in these tumors in very short order, causing dissolution of the tumor in less than four hours, necrosis of the tumor in one to four days, and full tumor destruction in four to seven days. Wound healing then follows in four to seven weeks. At this point, EBC-46 is in the very early stages of development. I would point out that injecting a drug directly into a solid tumor is far from a new tactic – it is the way Amgen’s oncolytic virus Imlygic is delivered. What’s doing in the CRISPR arena? This one I’m dodging for now. The general answer is, Quite a lot, and new bits of news are coming out every day. I’ll try to do a decent job covering that front in the follow-up cancer piece. For now, without damping anyone’s enthusiasm, I’ll reveal that my guess is that while the CRISPR developments constitute a great deal of the excitement in the cancer front, the slower advances in the more general treatment areas are the ones that will convey the greatest benefit to the greatest number. What on earth is Delta 8? Delta 8 first came across my transom in the form of an email that sent me to a site promoting this miraculous substance as a cancer cure that has been declared illegal in the United States, and that the White House itself is trying to suppress, because if it became known to the general public that a miracle cure for cancer (and a bunch of other diseases!) could be obtained reasonably and safely, why then, the entire structure of the health-care system in the U. S. of A. would collapse like the fraudulent house of cards that it is, because nobody would need doctors or drugs or the FDA, or anything at all but this inexpensive and safe little supplement that we can obtain (in the correct formulation!) only if we subscribe to their newsletter …. As to what Delta 8 actually is, the answer is delta 8 tetrahydrocannabinol, otherwise known as delta 8 THC, or Δ8THC for short. The more common and better known cannabinol is Δ9THC, and when active cannabinols are discussed, they are frequently referred to as just THC, and the Δ9 is the one they’re talking about. Cannabinols and are the subject of a great deal of research, and even though Δ8THC is much less well known that Δ9THC, it is nonetheless the subject of 1,097 journal papers indexed in PubMed. As for Δ8THC as a cancer cure, there are 51 PubMed-indexed journal papers in which this entity is in some form linked with cancer. At this point, I have done no more than read through a few – 16, to be exact – abstracts from these journal papers. According to the National Cancer Institute’s Thesaurus, Δ8THC has less psychotropic potential, meaning that it likely does not have the mind-altering potential of cannabis. It shares with the more common cannabinols those appetite-stimulating and anxiety-relieving qualities that are the primary cannabis medical benefits. It also appears to have some analgesic and anti-emetic characteristics. There is a great deal of interest in the cannabinoids, of which there are probably at least a hundred different kinds, any of which may have different and potentially valuable medical qualities. Our subject cannabinol, Δ8THC, is found in very small quantities in the plant, but ways have been found of arriving at a concentrated form. At this point in my delving, I have found no evidence that Δ8THC possesses any characteristics that would make it valuable in cancer treatment, other than giving cancer patients a good appetite and calming their fears. But I will delve further. I’m mostly not too eager to expose my views on drugs as early in their development life as NKTR-214, but I was an early Nektar booster mostly because of NKTR-181, an opioid that because of its essential characteristics is about as unlikely to be abused as castor oil. These characteristics are that it is extremely slow to be absorbed – it takes about eight hours to cross the blood-brain barrier – and is associated with disagreeable side effects when taken in large doses. Therefore, addiction-prone individuals can neither get a quick hit from NKTR-181 nor can they take an amount large enough to be addictive. On the other hand, it seems to manage most types of chronic pain just fine, so it looks like a good mainstream agent for lots of patients with the most common types of chronic pain such as lower back pain. As for NKTR-214, it was reported by Nektar to have shown early promise in a trial of combination therapy with nivolumab (Opdivo, from Bristol-Myers Squibb), a drug which was discussed in the preceding cancer blog. The two-drug combination was used to treat patients with stage IV melanoma, renal cell carcinoma, and non-small cell lung cancers. NKTR-214 is a form of interleukin 2 (IL-2) designed to spur the growth of specific cancer-killing T cells and natural killer (NK) cells by targeting specific receptors on the surfaces of these cells. More recent data is not encouraging. In comparison with IL-2 itself, NKTR-214 is very much less potent. The expectations for NKTR-214 are that it might attain the effectiveness of IL-2 in harnessing the body’s own immune responses to cancer cells, but without IL-2’s troubling adverse effects. However, while IL-2 can produce a 200-300% increase in lymphocytes, NKTR-214 only managed to boost lymphocyte increase by 33-50%. Active drug exposure with NKTR-214 is about one tenth that attained by IL-2, and peak drug concentration is about 2% compared with IL-2. The conclusion by some analysts is that NKTR-214 is simply too weak to produce any cancer-fighting benefit. Whether there is any future potential in working along the same lines and developing an interleukin analogue that has similar capacity in turning T-cells and NK cells into cancer killers is an open question. I am sure that there is work being done on that front. Will “Right to Try” make a difference to cancer patients? Obviously, some people strongly believe that it will make a difference. They believe that there are drugs, maybe lots and lots of drugs, that for some reason have not yet been approved by the FDA even though there is considerable evidence that they are effective in fighting or preventing a number of diseases. And indeed, every drug that is out there, including the most effective drugs we know about, was at some point not yet approved by the FDA, and would have doubtless saved the lives of some patients if only it had become available sooner, even just a bit sooner. There has been a great deal of pressure on the FDA to speed up the approval process and get the drugs to people who, in some cases, are dying for the lack of them. To give credit where it is due, the FDA has accelerated the process and in some cases, especially cases where the candidate drug is the only possibility of treatment for a particular disease or condition, they have made it much easier and quicker for a drug to gain approval. But letting people get unapproved drugs on a “Right to Try” basis raises huge doubts in your highly skeptical Doc Gumshoe. Let’s say that a hypothetical candidate drug, to which we attach the name IGN-123, has demonstrated good results in a Phase 2 trial, in which it was employed in combination therapy with an established drug in the treatment of patients with advanced lung cancer. The combination therapy resulted in about 40% longer survival than the usual monotherapy regimen. The news of this rapidly circulated, not only through the medical community, but in the media. A major part of the impetus for the dissemination of that news was the expectation in some circles that IGN-123 would make a huge difference in the stock price of the small biotech, Ignoto, that developed the drug. An immediate result of this encouraging news item is that quite a few patients asked their doctors the key questions: What’s this about that new drug that gives lung cancer patients a longer lease on life? Could I be on that drug? At that time, IGN-123 had not received an FDA indication for any disease or condition, so the doctors had no choice but to tell these patients that they cannot be prescribed that drug. There is, however, the possibility or even likelihood that a Phase 3 clinical trial is about to be underway in which IGN-123, alone or in combination, is compared with another drug or with placebo. In that case, the possibility exists that these eager patients might be able to enroll in that clinical trial. But they would need to understand that enrollment in such a clinical trial by no means constituted a guarantee that they would be receiving IGN-123. From the patients’ perspectives, enrolling in the Phase 3 trial is not a bad idea. They have at least a shot at getting the hot prospect drug, for which otherwise they might have had to wait years. If they don’t wind up in the group that gets IGN-123, they receive some form of treatment for sure, and they’re enrolled in this clinical trial, so the drug company is footing the bill. So it may not be too difficult to enroll a sufficient number of patients for the trial to go forward. 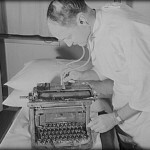 But now suppose that “Right to Try” legislation had been enacted, and that IGN-123 was included among the agents covered by “Right to Try.” Presented with the choice of being prescribed IGN-123 for sure under “Right to Try” legislation, or enrolling in a clinical trial in which there was only a fifty-fifty chance of being assigned to the patient cohort that was treated with IGN-123, but also an equal chance of not receiving treatment with IGN-123, the majority of patients would opt to get the drug for sure under “Right to Try.” And that would have a severe impact on the chances that the IGN-123 Phase 3 trial would ever recruit enough subjects. You might ask, if the Phase 2 results were positive, why is it so important to go ahead and run a Phase 3 trial, which would likely take several years and cost a fortune? The answer is that there are major differences in many aspects of the trial design between Phase 2 and Phase 3 trials. Phase 2 trials are carefully crafted to increase the likelihood of arriving at a positive outcome. This might include patient selection, outcome measures, and facets of the treatment protocol. This is not necessarily cheating or finagling with the results on the part of the pharmaceutical company sponsoring the trial. It is (or should be) a genuine effort to figure out what bona fide benefits the candidate drug might bring, and to examine in detail how patients would be likely to respond to that candidate drug. Phase 3 trials, in contrast, attempt to predict how the candidate drug would perform in a much more general population – a population resembling the real patients who would be prescribed the drug. And Phase 3 trials report not only the benefits of the drug, but also the potential harms. Doc Gumshoe has subjected the inhabitants of Planet Gumshoe to sermons on the merits of the hurdle-strewn track that drugs have to follow to gain regulatory approval. Enough to say that the process separates the wheat from the chaff, or the sheep from the goats, if you prefer. And, all in all, the goats tend to outnumber the sheep by more than a thousand to one. So, although “Right to Try” might give some individual patients a chance to try a drug that could genuinely help them with a disease for which otherwise there are perhaps no real treatment options, it might prevent such a drug from ever gaining the regulatory approval necessary for the drug to become available to every patient that needs it. Of course, there could be ways of finagling with the legislation, for instance, if “Right to Try” only took effect after IGN-123 had already recruited the necessary patient population for a Phase 3 trial, or if “Right to Try” only applied to patients in whom it could be demonstrated that IGN-123 was their only possible chance to avoid their otherwise certain demise. But if “Right to Try” stood in the way of wider use for a valuable drug, it would be a bad idea. Does Brazilian wasp venom have potential as a cancer agent? Thanks for pointing me to this one. My initial reaction was, “Oh, sure, another miracle cure, just like apricot pits.” But maybe I should have thought of gila monster venom, which you may remember was the origin of the diabetes agent exenatide (Byetta, AstraZeneca). As it turns out, Brazilian wasp venom does have real cancer-killing potential. The Brazilian wasp is officially known as Polybia paulista, a highly organized wasp subspecies found in Brazil, Paraguay, and Argentina. No one has as yet suggested that we humans should subject ourselves to the stings of these wasps in order to treat cancer, but the venom contains a peptide dubbed Polybia MP1, which has potential as an anti-cancer agent. The exterior surface of cancer cell membranes contain phospholipids of the phosphatidylserine (PS) class, and these lipids bind with the MP1 peptide in the Brazilian wasp venom. The PS lipids activate the MP1 peptide such that it forms pores in the cancer cell membranes, leading to lysis (dissolution) and death of the cancer cells. In normal cells, the PS lipids are present not on the exterior surface of the cell membrane, but within the membrane and on the interior surface. Therefore, the MP1 peptide is far more destructive to cancer cells than to healthy cells. Further research, reported by the American Chemical Society in August of 2018, reported that two other phospholipids might be found in the outer layers of cancer cell membranes. These are phosphatidylethanolamine (PE) and phosphatidylcholine (PC). The cancer cells most susceptible to lysis by MP1 were those that contained all three phospholipids. PC by itself did not lead to pore formation and lysis. This suggests, as always, that much more research will be necessary before the Brazilian wasp venom cure enters mainstream medicine. To the best of my knowledge, the cancer-combating properties of Brazilian wasp venom did not emerge because of any roots in folk medicine. Dwellers in the Amazonian jungles did not submit themselves to wasp stings in order to cure their cancers. This potentially valuable discovery came about because of entirely rational scientific investigation. The wasp venom obviously has potent physiologic properties; very small quantities can bring about major changes in the human body, not only locally, but system-wide. What these properties consist of and how they work are fruitful subjects for research. There are great numbers of substances occurring naturally that might have big physiologic effects in humans, as well as in other animals. One example is the venom of the pit viper, which can kill people quite easily. Finding our exactly how pit viper venom accomplishes this unfortunate goal led to the discovery of some of our most valuable drugs. A person bitten by a pit viper, if not promptly treated, will likely die as a result of a crash in blood pressure, which rapidly drops to the low single digits. What happens is that the pit viper venom stops the production of a key enzyme that results in the formation of angiotensin. Angiotensin in turn helps maintain the tensile strength of arteries, so that the arteries relax to accommodate blood volume when the heart contracts, and then recover their strength to keep the blood flowing. If this function is interrupted, blood doesn’t get where it is needed, and the body is starved of oxygen. This property of pit viper venom was put to work in the development of one of the most useful classes of antihypertensive drugs, angiotensin converting enzyme inhibitors (ACE inhibitors). If a full-strength dose of pit viper venom could lower blood pressure so much that the recipient died, perhaps a small fraction of that dose might lower elevated blood pressure to a more benign level. From this research came the first ACE inhibitor, captopril, originally trade-named Capoten by Squibb, now Bristol-Myers Squibb. Several other ACE inhibitors have followed captopril, most of which are now generic. There’s one more valuable lesson to be learned from the Brazilian wasp venom story, which is that a crucial step is developing a cancer treatment, or, indeed, any effective medical treatment, is to arrive at an understanding of the basic mechanism that makes it work. The observation that a certain substance has a certain effect leaves open a host of questions. How much of that certain substance? When does it work and when does it not work? And, most important, how exactly does it work when it does work? In the case of the wasp venom, a vital bit of understanding was that cancer cells possess those phospholipids on the surface of the cell membrane, while in healthy cells those same phospholipids are within the cell membrane, but not on the surface, so the active molecule in the wasp venom could cause pore formation and lysis in the cancer cells but leave the healthy cells unharmed. This is the kind of essential knowledge that underlies drug development. Effective cancer treatment depends on research that pinpoints the differences between cancer cells and their healthy neighbors. A few of these are that cancer cells have the capacity to induce the growth of new blood vessels to bring them nourishment; also that cancer cells have a means of turning off the tyrosine kinase switch that inhibits reproduction, so they can go on reproducing endlessly; also that cancer cells have a means of putting on the brakes on T-cells, which would otherwise attack them. Some of this knowledge applies to multiple types of cancer cells. But, increasingly, scientists are focusing on individual types of cancers, and even within a single kind of cancer, as defined by the site in the human body that the cancer affects – e.g., lung cancer, breast cancer, prostate cancer – the emphasis is on the genetic differences between the cancers themselves. There are many types of each general class of cancer, and to sort them out and find ways of targeting each individual cancer will continue to demand more and more research. To review the developments in cancer diagnostics would take up a full Doc Gumshoe epistle – likely more! – but for now I will make a few points. First, some of these proposed diagnostic tools yield only a minimum of information. A positive result might mean only that a person had a cancer growing somewhere, but without specifically indicating where. Such a test would be most valuable in reporting a negative result – the tested individual is cancer free. But a positive result would lead only to more tests. It might be possible to develop a test that could identify some of the genetic characteristics of the cancer cell, which would then inform the clinician as to where to look for the cancer. But it is also possible that the test would register a positive result on the basis of a very few cancer cells. Perhaps those cells are on the way to becoming metastatic. Or, perhaps those cells are not really a threat, on their way to extinction. Second, there are powerful economic forces at work relating to this issue. The developers of the tests obviously want them to be widely used. They are likely to present them directly to the public, which is concerned – and rightly – with the risk of developing cancer. But this raises the question – if there is a positive result, what do we do then? The proposed diagnostic instruments would likely result in the identification of huge numbers of persons who would require further diagnosis and, perhaps, treatment. There are contingents in the health-care community that already oppose some current diagnostic tests on the grounds that in many cases there is little benefit in treatment and huge costs to the commonwealth. This is not to say that improvements in diagnostic tests are not necessary. Some of the highest cancer fatality rates are almost certainly the consequence of the rarity of early diagnosis – e.g., pancreatic and ovarian cancers. Could this be changed by an improvement in diagnostic techniques? We can certainly hope so, and Doc Gumshoe will stay on the alert. That about wraps it up for this installment. There were some comments I didn’t get to, and I will keep them on the priority list for future delving. One comment I want to mention, as well as for which to thank the Gumshoe denizen, pointed out a couple of small errors in the previous cancer piece, “The Lay of the Land in 2018.” For example, I mischaracterized HER2 as a growth factor. It is in fact a growth factor receptor, which in combination with other related molecules can result in the release of a large amount of cancer-causing tyrosine kinase (TK). I also erred with regard to the location of telomeres – they attach to the ends of chromosomes – not genes – protecting them from damage. Young people have more telomeres than some of us older folks, and telomeres also protect the chromosomes in cancer cells from damage. The particular drug I mentioned, Geron’s imetelstat (IMerge) targets the enzyme that protects those telomeres in cancer cells. To the reader who wondered what was up with Geron, after the collapse of their deal with Janssen, my answer is I think they’re forging ahead. I wish them – and you! – good fortune. 14 Comments on "Getting Back to You: Responses to Comments on Cancer 2018"
Any thoughts about the “cell in a box” treatment being researched by PharmaCyte Biotech, Inc (PMCB)? And / or that stock in general? In your prostate cancer report, I’m confused regarding the definition of the group of 432 men. Were they the only ones originally <60 years old or were they defined, as implied later, as having been the only ones originally diagnosed of cancer? “One drop of company’s breakthrough “Living Software” sells for $83,000. Great post ! I have only one question. What is the name of the company for this 1 drop phenomenom? Thank you. It is my understanding that the PSA blood test for diagnosing prostate cancer is not being ordered by some doctors because supposedly it has been determined that it’s not all that reliable. At my last physical, I didn’t opt out of the PSA test, my doctor didn’t order it. My wife, who used to be the office manager for a group of urologists, insisted I go back and have the PSA done. I guess opinions vary. If you’re already having blood work done, why not go ahead and have the PSA done as well? Could it be an insurance issue? Everyone is different. Therefore, there will be varying results from drugs, foods, psychological or physical therapy . After having worked with doctors in the dental profession for 20+ years, the preceding statements were proven many times. And, more recently, I have experienced a similar situation. I had an elevated PSA level (no other symptoms) that led to biopsy and prostate cancer diagnosis. I chose radiation and seed radiated implants because it appeared less invasive. My Radiology Dr said that some patients return to work by the next day! Wow! Who wouldn’t want that? Long story short, I’m different! Cel-Sci (CVM) has a drug called Multikine to treat cancer of the head and neck. Its 3rd phase trial is about to report. It has orphan drug status, so will be a big hit if the trial is positive. I’d like to hear more about it.